Wishing You a SAFE and FUN Summer!! 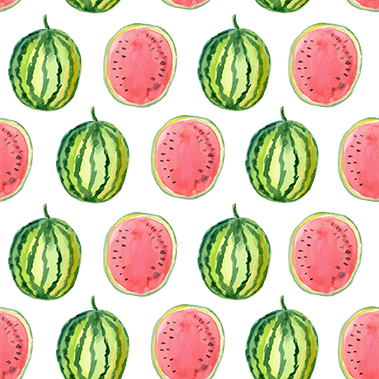 Happy summer, friends! If you're anything like us, you're welcoming all the fun activities that come along with summer: the long days, warm sunshine, barbecues with family and friends or a day spent at the pool. Summer weather has a way of luring us outside and making us more active, doesn't it? The only caveat to this is the increased risk for injury. SUNSCREEN & SHADE: Avoid sunburn by wearing a SPF of 30+ and reapplying every 2 hours. Stay in the shade when possible to avoid direct sun and keep temperature down. BEAT THE HEAT: Extreme heat is not the time to go for your personal best. While everyone is at risk when temperatures exceed 90°, the elderly and very young are most susceptible to heat and heat related illnesses. Be proactive by wearing lightweight & light colored clothing and drinking water continuously, even if you’re not feeling thirsty. If you’re participating in a strenuous activity, plan for it at the coolest part of the day between 4:00 am – 7:00 am, and stay inside when possible. PROTECT YOUR EYES: Wear sunglasses that offer UVB and UVA protection and wear a hat if possible for added protection. This can help prevent cataracts (and wrinkles:). WATER SAFETY: A day at the pool, at the beach or on the river can be a great way to spend a summer day. Keep the following in mind when you plan to spend any time around water this summer: Never swim alone; everyone should learn basic swimming skills; be aware of environmental conditions (i.e. riptides) & do not overestimate your abilities; have the proper rescue and safety equipment available (i.e. Personal Flotation Device); and avoid alcohol when participating in water recreation. Before you're fully back into the swing of summer activities, think about your safety and preventing risk of injury. The last thing you want is to be sidelined this time of year when it could have been avoided. If you have any questions or need additional help staying safe this summer, please let us know. As always, we're here to help! The "rotator cuff" is the group of 4 muscles and their tendons responsible for keeping the shoulder joint stable. Injuries to the rotator cuff are common—either from accident or trauma, or with repeated overuse of the shoulder. Risk of injury can vary, but generally increases as a person ages. Rotator cuff tears are more common later in life, but also can occur in younger people. When left untreated, a rotator cuff tear can cause severe pain and a decrease in the ability to use the arm. A recent study in the Journal of Shoulder and Elbow Surgery looked at whether or not physical therapy can help avoid surgery on a rotator cuff tear. The MOON Shoulder Group, which is a multi-center network of research teams around the country, followed a group of 381 patients with atraumatic full-thickness tears of the rotator cuff for a minimum of two tears. The patients performed 6-12 weeks of nonoperative physical therapy focusing on basic rotator cuff strengthening, soft tissue mobilization, and joint mobilizations. At the six-week mark, patients were assessed and 9% chose to have rotator cuff repair surgery at that point. At 12-weeks, an additional 6% chose to have surgery, and, in total, 26% of patients decided to have surgery by the 2-year follow-up mark. That means nearly 75% of patients avoided rotator cuff repair surgery by performing physical therapy despite having full thickness cuff tears. Physical Therapy can help you reduce the worsening of the symptoms of a rotator cuff tear and even decrease your risk of worsening a tear, especially if you seek assistance at the first sign of shoulder pain or discomfort. To avoid developing a rotator cuff tear from an existing shoulder problem, it is imperative to stop performing actions that could make it worse. Your physical therapist will help you strengthen your rotator cuff muscles, train you to avoid potentially harmful positions, and determine when it is appropriate for you to return to your normal activities. Avoid repeated overhead arm positions that may cause shoulder pain. If your job requires such movements, seek out the advice of a physical therapist to learn arm positions that may be used with less risk. Apply rotator-cuff muscle and shoulder-blade strengthening exercises into your normal exercise routine. The strength of the rotator cuff is just as important as the strength of any other muscle group. To avoid potential harm to the rotator cuff, general strengthening and fitness programs may improve shoulder health. Practice good posture. A forward position of the head and shoulders has been shown to alter shoulder-blade position and create shoulder impingement syndrome. Avoid sleeping on your side with your arm stretched overhead, or lying on your shoulder. These positions can begin the process that causes rotator cuff damage and may be associated with increasing your pain level. Avoid smoking; it can decrease the blood flow to your rotator cuff. Consult a physical therapist at the first sign of symptoms. Our physical therapists will work with you to restore your range of motion, muscle strength, and coordination, so that you can return to your regular activities. In some cases, you may learn to modify your physical activity so that you put less stress on your shoulder. If you do decide to have surgery, your physical therapist can help you both before and after the procedure. Regardless of which treatment you have—physical therapy only, or surgery and physical therapy—early treatment can help you speed the healing process and avoid permanent damage. 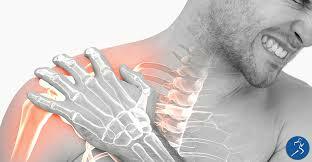 If you are suffering from the symptoms due to a rotator cuff tear, call us today. We can get you the help and relief you need and get you back to doing the things you love without experiencing pain! Summers in Tennessee can be pretty brutal. As in, you walk outside and you get hit in the face with heat and humidity upon entry! Unless you have a pool, sprinklers, an IV of ice water, or popsicles on standby, it’s hard to enjoy time outside. This is why we're sharing this group of Easy & Healthy Summer Dessert Recipes. They are light enough you don’t feel guilty eating them or ruin that “beach bod” you’ve been working on. The flavors are simple and fresh and have just the right amount of ‘sweet’ to curb that sweet tooth. Bon Appetit friends! 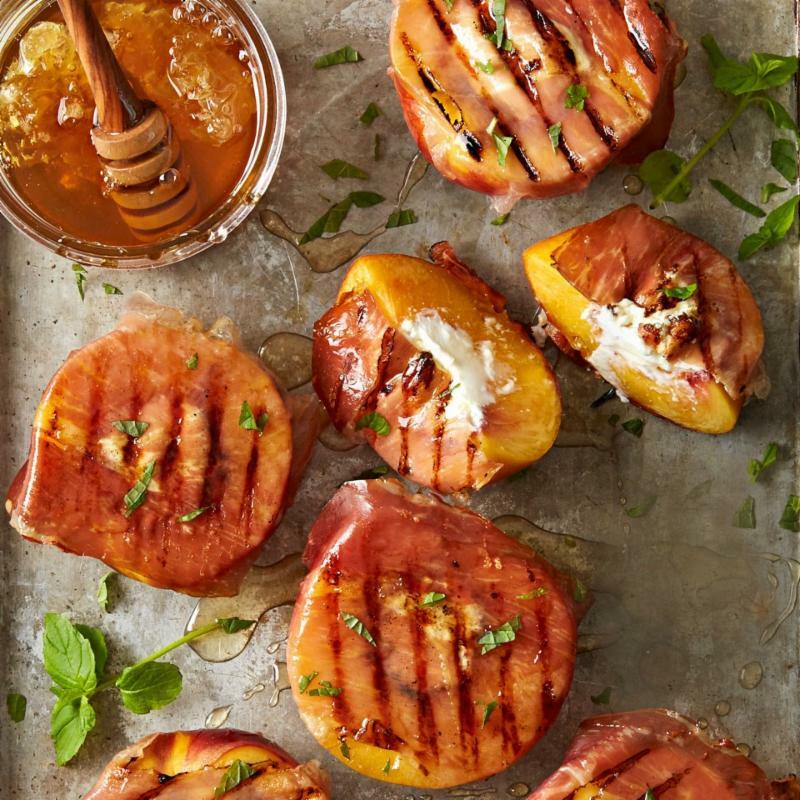 These salty-sweet grilled peaches are perfect anytime the fruit is in season. Stuffed with goat cheese and honey, they work as a side, appetizer, or even dessert. Spoon ½ oz. goat cheese into the center of each peach half. Wrap 1 slice of prosciutto around each half, pressing lightly. Oil the grill rack. Grill the peaches, covered, turning once, until the prosciutto is browned and crisp, about 6 minutes. Drizzle with honey and sprinkle with mint, if desired. Heat peanut butter, brown sugar, butter and milk in a medium saucepan over medium heat, stirring, until the butter and sugar have melted. Stir in oats and vanilla. If using chocolate chips, let the mixture cool to room temperature before stirring them in. Drop the dough by the tablespoon onto a parchment-lined baking sheet. Press into 2-inch circles. Refrigerate until firm, about 30 minutes. Keep refrigerated. 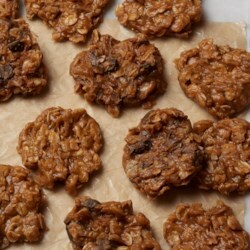 These no-bake cookies got a healthy makeover by bumping up the peanut butter and cutting back on added sugar and butter. People with celiac disease or gluten sensitivity should be sure to use oats that are labeled "gluten-free," as oats are often cross-contaminated with wheat and barley. 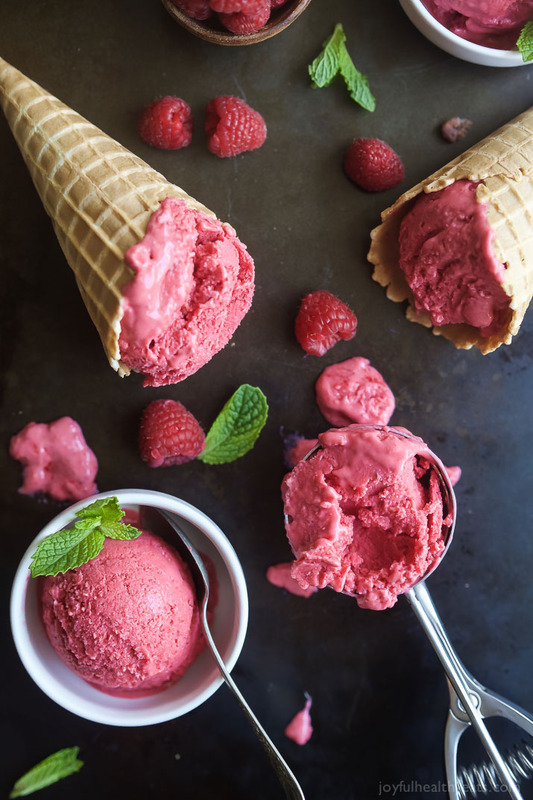 This 5 Minute Lemon Raspberry Frozen Yogurt uses only 4 ingredients – it’s healthy, sweet, delicious and so easy to make! To to it off, it's gluten free! To a blender add greek yogurt, raspberries, lemon juice, lemon zest, and honey. Serve immediately or for a more solid consistency place in an air tight container and put in freezer for 1-2 hours. Serve! Change your habits for 6 weeks and you could change your whole life! 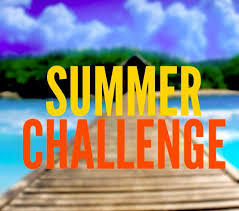 Join our next Whole Life MINI Challenge beginning July 7th (limited spots available). Please allow us to introduce you to our newest Physical Therapy Assistant, Kelsey Harrison. 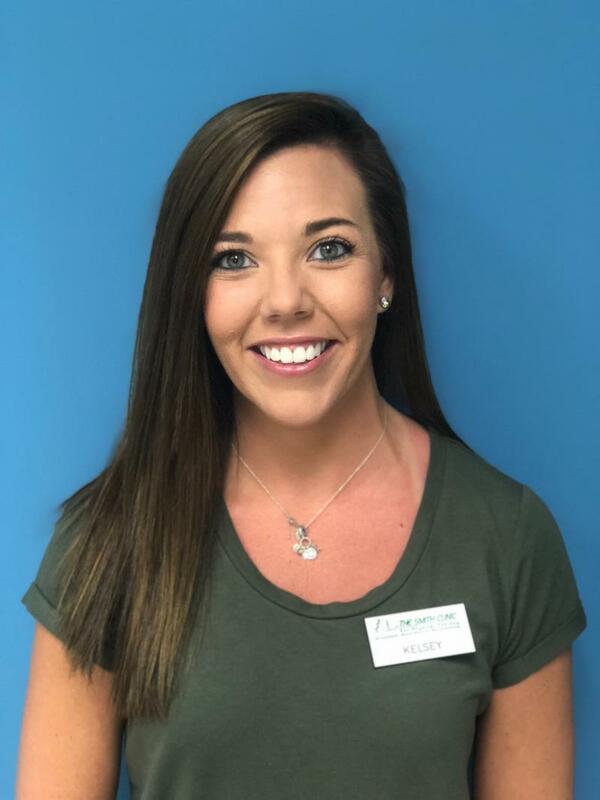 Born and raised in Memphis, Kelsey came to the Smith Clinic after receiving an Associates Degree in Elementary Education from Southwest Community College, in addition to an Associates Degree in Applied Science for Physical Therapy Assistant from Concorde Career College. When asked about why she chose physical therapy as career path, Kelsey explained, "For me, it was always between the medical field or teaching...I just wanted to help people and make some sort of difference in people's lives. After learning about the PTA program from a friend, I researched a lot about physical therapy and what the job consisted of. As I went through school, clinical rotations and, now working at the Smith Clinic, I have realized that it s the perfect mix of teaching and making a difference in people's lives, and I am loving every minute of it!" In the event Kelsey is not at work, she enjoys spending time with family and friends. Her favorite thing about Memphis is that it will always be home, and it is where all her best memories have been made. When it comes to working at The Smith Clinic and her favorite part about working here, Kelsey stated, 'Where do I begin?! I have the best co-workers, I work with the sweetest patients, and I love the fact that everyone is like family, always showing love and support for one another. And, of course, the delicious treats patients bring us are definitely a top favorite!" We are thrilled to have added Kelsey to The Smith Clinic family. We know you will love her just as much as we do!